Your road plan to safely and successfully introduce solids to your baby with my step-by-step system, recipes, meal plans and video tutorials. You barely have time to feed yourself and do not have hours to spend in the kitchen or research online. You feel overwhelmed at the thought of making changes (again) now that you’ve just adjusted to the biggest change in your life – having a baby! You need easy steps, a roadmap to give you a peace of mind and help your baby happily feed himself table foods and get enough nutrition. 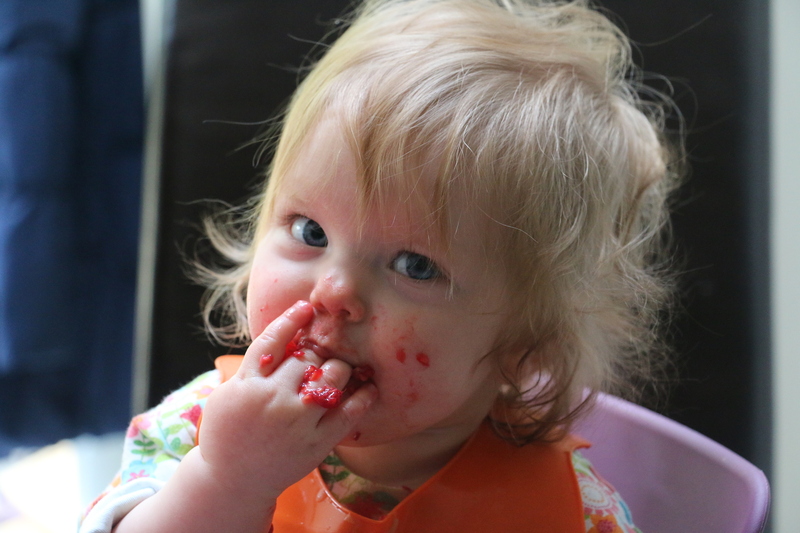 You are not sure whether to try the Baby Led Weaning approach or start with purees. As a child nutritionist and mom, I spent 12 years researching, teaching and writing on the topics of starting solids (and practicing with my 3 kids). What parents often do not know is that there is no need to follow a rigid philosophy when starting solids. You can use the baby-guided approach, with safe finger foods to boost self-feeding skills and optional purees to keep the nutrition in check. My complete online Stress-Free Solids program has everything you need to safely and easy start solids with your baby using this mixed approach, step by step. Know exactly which safe and nutritious foods to offer to your baby at first meals and as she grows. See how babies learn to eat by watching videos of a baby going through all the milestones ( 6 to 15 months). Support your baby’s self-regulation and a healthy relationship with food from the first bite. Get inspired by over 50 recipes and meal ideas. Stay organized with sample schedules and mealplans. Introduce more variety and help your baby develop adventurous taste buds without spending hours cooking or leaving $$$ in a grocery store. 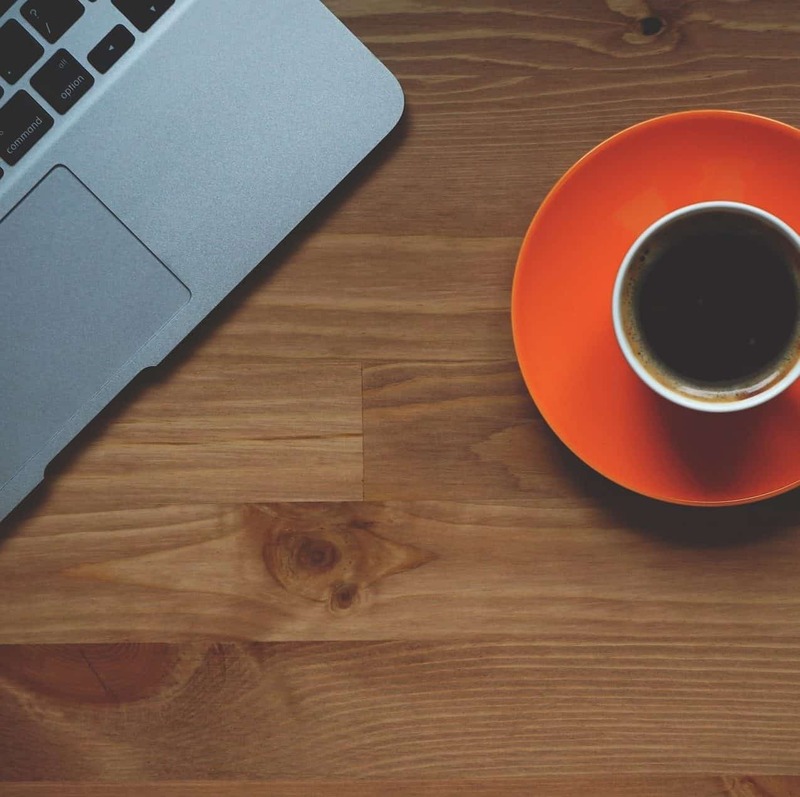 There is so much differing advice out there – that’s the trouble with the Internet I think, everything you read touts something different as the best thing to do. So I found the mixed approach to starting solids really refreshing. Everything else I’d read was one extreme or the other. The sample meal plans are very helpful to visualize how the day can be structured and how mealtimes should fit in. Another thing I found really helpful was the nutritional advice. 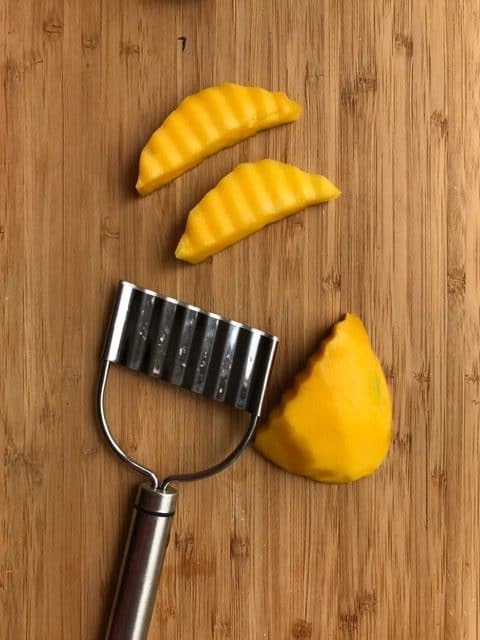 A lot of the other information I have read was solely focused on taste or texture, but this added another dimension which (silly as it sounds) I hadn’t really considered. The tables with the foods / nutrients and serving suggestions will be pinned up in the kitchen for inspiration! Part 1. 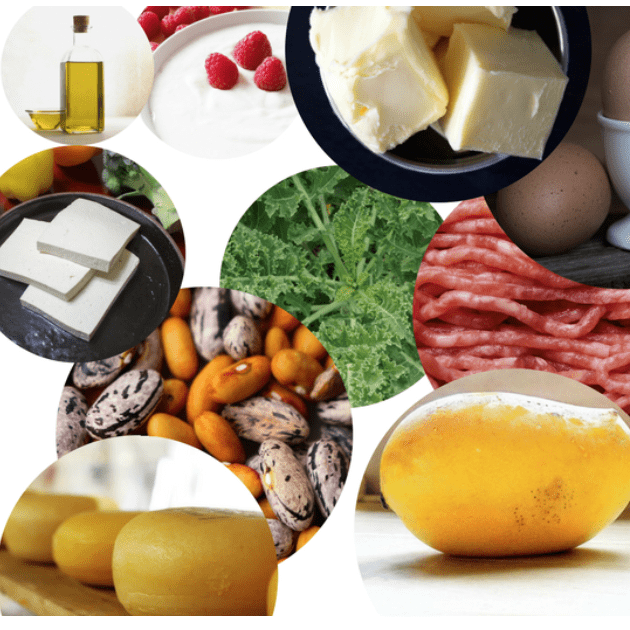 What you need to start solids. Equipment for cooking, storing, freezing, feeding and minimizing the mess. How to choose the best without spending $$$. Part 2. Is your baby ready? True signs of readiness for solids. What you should do if your baby seems hungrier than usual. Will solids help your baby sleep better? Part 3. What to feed your baby. Finger foods, purees or both? 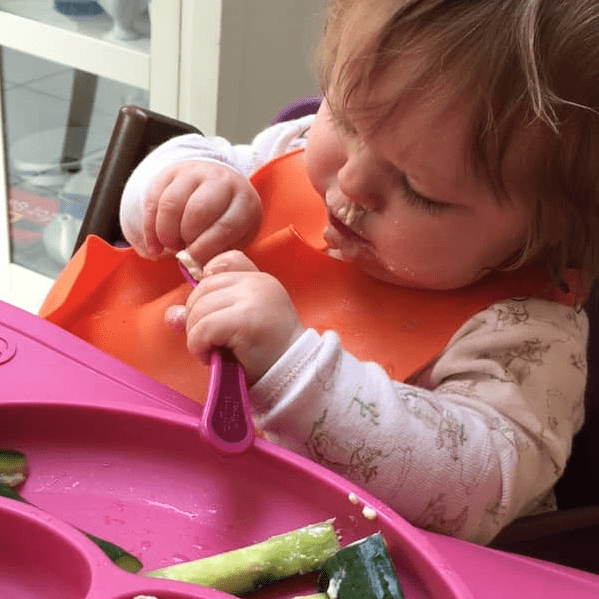 The latest research on the pros and cons of Baby Led Weaning. How to train your baby’s taste buds to eat a variety. How to choose drinks. How to introduce food allergens. Safe finger foods: Gagging vs Choking. Part 4. How to feed your baby. How to organize the very first meals. 4 Key stages your baby will go through after you start solids. How to support the development of eating skills at each stage. Part 5. The most common questions and roadblocks. Can you give your baby cereal? Is your baby getting enough protein? Exactly how much salt can my baby have? Answers to these and many other questions I get asked all the time. Most recipes can be served to the whole family or included as a part of a family meal. How do babies learn to eat finger foods? How to feed them with a spoon correctly? What is pincer grasp? What gagging looks like? Prepare to learn (and have a giggle) as you watch this collection of videos. 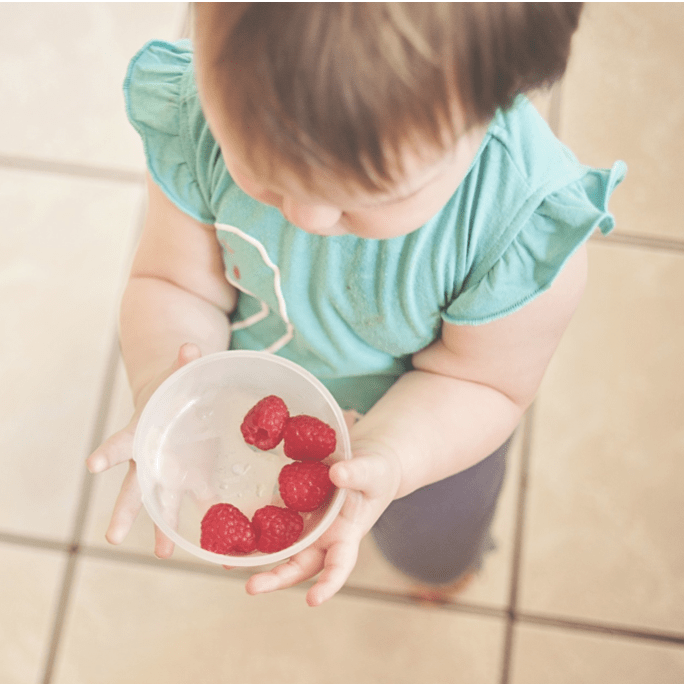 Everything you need to know to get ready for the tricky toddler phase: the important changes, useful feeding strategies, mealtime tips and common pitfalls to avoid. You will be glad you are prepared as your baby grows into a rebellious toddler with a sketchy appetite and a fierce drive for independence! Judgement-free zone with all the support you need. Connect with like-minded parents 24 hours, 7 days a week. Get all your questions answered by a child feeding expert and a pediatric dietitian. Personalized help with transition to different textures, self-feeding, behavioral issues, nutritional balance and meal planing. The prices are listed in USD / American, this equates to around £19/£74/£268 UK GBP, €22/€83/€299 or $35/$137/$488 Canadian / Australian Dollars, respectively. You can use your credit/debit card regardless of your location in the world and it will convert it for you. You can also pay via Paypal, the most secure payment system in the world. Access to Stress-Free Solids is provided instantly in downloadable PDFs / Ebooks (just like a word document) and links to the demo videos. It can be accessed worldwide, regardless of location, including USA, UK, Australia and the rest of the world. All instructions, recipes, and videos are easily viewable on mobiles, tablets, laptops etc. All mealplans/ebooks can also be printed out very easily, just like a word document. All one-on-one appointments for the VIP+ package are scheduled online via a video conference website, in any country, and in any time zone. Want a free sneak peak into the class? Success! Check your inbox for a sample chapter and video. It is filled to the brim with everything I wondered about when I began solid foods with my baby. I love that the books walk you through the developmental stages a baby goes through when introducing solids. The solid nutritional information and real-life advice really made the book useful for me. Though I have done some research of my own into healthy eating for babies, I learned a great deal after reading through it. I found it to be very comprehensive. The information for feeding babies starts around the 6-month mark and continues on into early toddlerhood. Information was thorough, well researched, and easy to read and act on for busy Moms. As a new Mom, I wasn’t sure about how much texture my baby could handle, this book provides a texture timeline that I found especially helpful. The breakdown of recipes by baby’s age was also great. The recipes presented as really inventive and as healthy as can be! I am pretty good at coming up with ideas for cooking but this really expanded my thought process when it comes to cooking for my little one. Natalia your recipes are the biggest success for my little girl! We tried the Baby’s First Bolognese tonight and it was an absolute hit! I love the variety of ingredients in your recipes and how perfect each and every recipe is for babies that are beginning to manipulate their hands/fingers with more precision. Willow is loving all of the things I’m trying from your ebook! 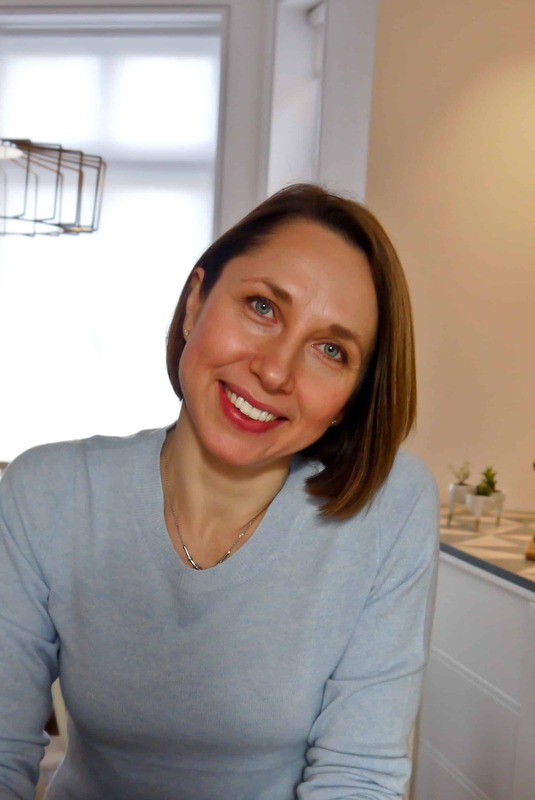 As a first time mum, I wouldn’t have known that she could try things like herbs at her age but I’ve gained so much knowledge through your book and I really love how varied her diet is as a result. The amount of ingredients in each is perfect for the night’s feed and to pop plenty of little portions in the freezer as nutritious go-to’s when in a hurry. I am a registered dietitian, specializing in child nutrition. Dietitians are the only nutrition professionals regulated by law and governed by an ethical code to ensure that they always practice to the highest standard. Unlike other unregulated titles like nutritionists, dietitians are required to have at least a bachelor’s degree in nutrition, including extensive supervised practice. I have a Master’s degree in Nutrition and have been working in child nutrition for the last 8 years. As a child nutrition expert, I have been invited to co-write two books on starting solids and speak at professional conferences. 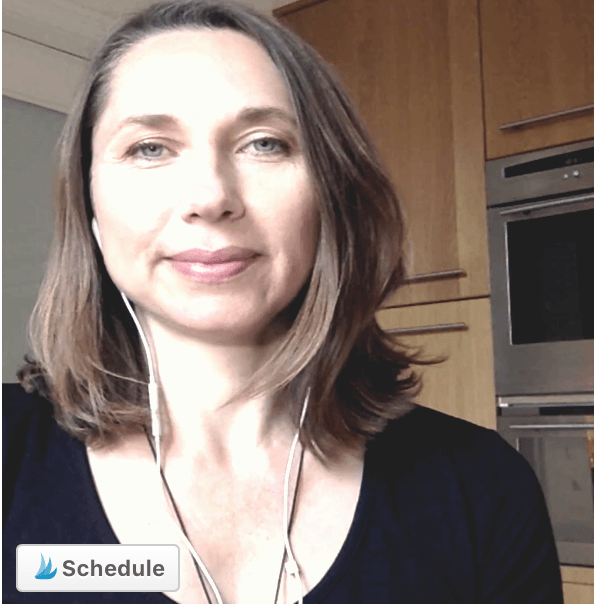 I condensed the latest research on starting solids for my articles geared towards both professional community and the general public and coached hundreds of parents through my private practice and online classes. And, more importantly, I also started solids with 3 babies of my own! I created this program because, after years of working with parents whose children are a challenge to feed, I realized that I could almost always trace the origins of feeding issues back to when solids were started. I could also see that when parents were aware of the developmental stages from the very start feeding tended to go much smoother. I think that every parent deserves to have access to the best tools and up to date expert advice instead of trying to make sense out of sketchy tips from the internet. I know that starting solids can be a fun, rewarding and 100% stress-free experience both for you and your baby. I AM SO EXCITED TO SHOW YOU EXACTLY HOW TO DO IT! I loved that you covered the most current research and included citations. I find that a lot of resources on the internet are quoting outdated information and recommendations, so I always want to double-check the author’s sources. WI do not have time to cook baby food. Neither do I! So I used the mixed approach with my two younger babies. I prepared a few super nutritious purees and fed them with a spoon. 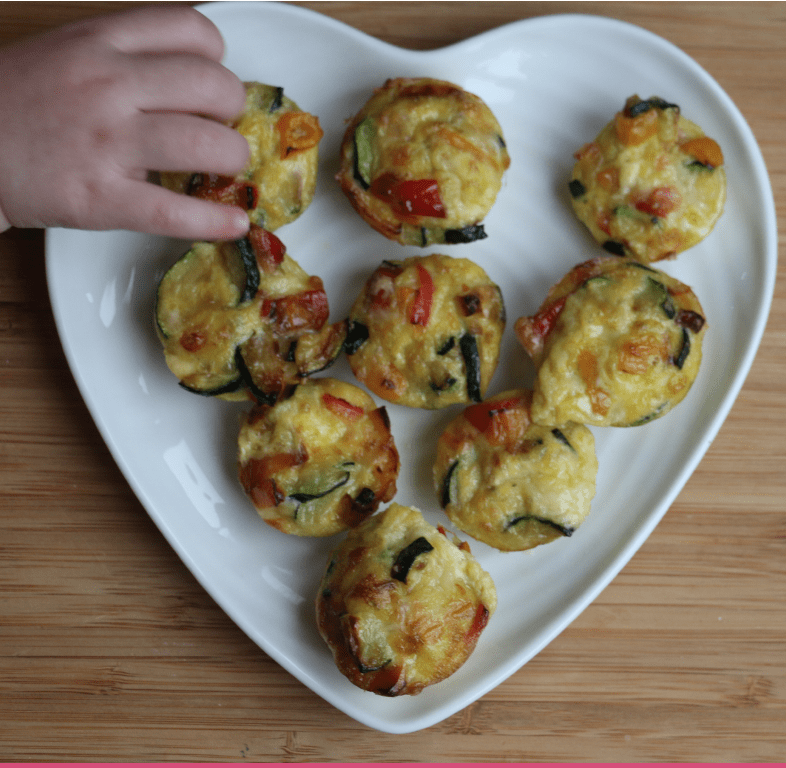 But most of the time, I adapted family meals and gave my babies lots of safe finger foods to practice self-feeding. This way, they got the nutrition they needed while learning to self-feed at a rate that worked for them. More and more feeding experts now recommend the mixed approach to start solids. And this is exactly what these eBooks will show you how to do. 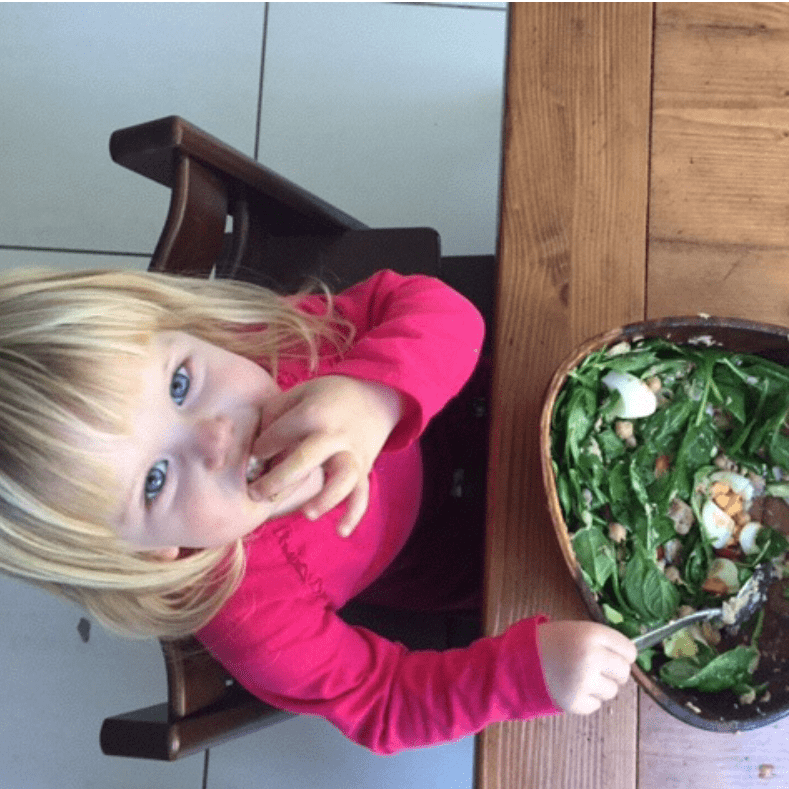 I want to try Baby Led Weaning, will your program help me? I want to do the traditional/puree approach, will your program be useful? I think you NEED this program because it can help you and your baby get all the benefits of responsive, trust-based feeding while allowing her to move through feeding milestones at her unique speed. I recommend exposing your baby to different textures including finger foods from day one of starting solids while using smooth purees as a backup. This helps babies learn to self-feed quickly. Every week I am receiving dozens of emails from parents for whom the information I am sharing was THE resource they needed to move away from purees towards self-feeding a variety of textures and flavors. I’ve already started my baby on solids. Is it too late for me to join the program? Absolutely not! Especially if you are wondering about what would be the next milestone, feel that your baby is stuck on purees, need meal ideas to transition your baby to family foods or are looking to offer your baby more variety. Starting solids with your baby is a process, a fun journey without a definite end. Kids continue learning how to eat for many months and even years. 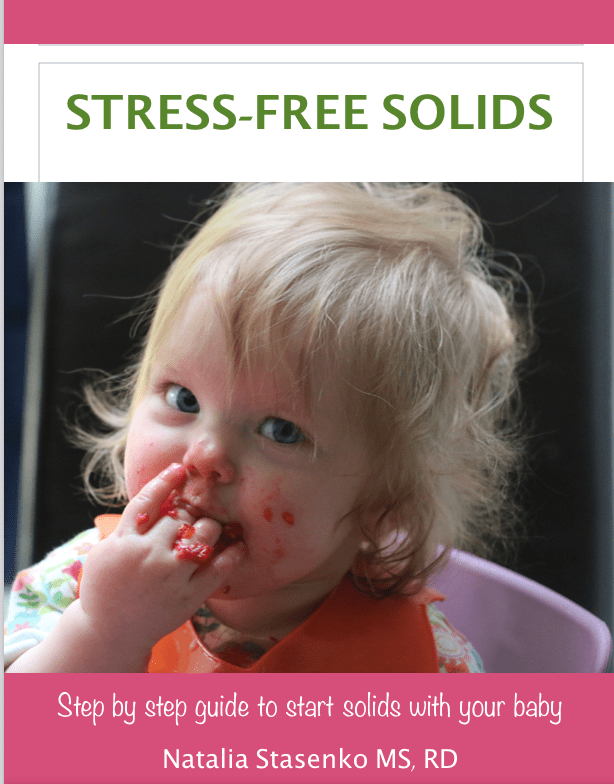 When joining Stress-Free Solids you get access to all the materials and the closed Facebook community for 1 year. This should give you and your little one enough time to go through all the major transitions with the support of a child feeding professional. I am still not sure… What else have you got? 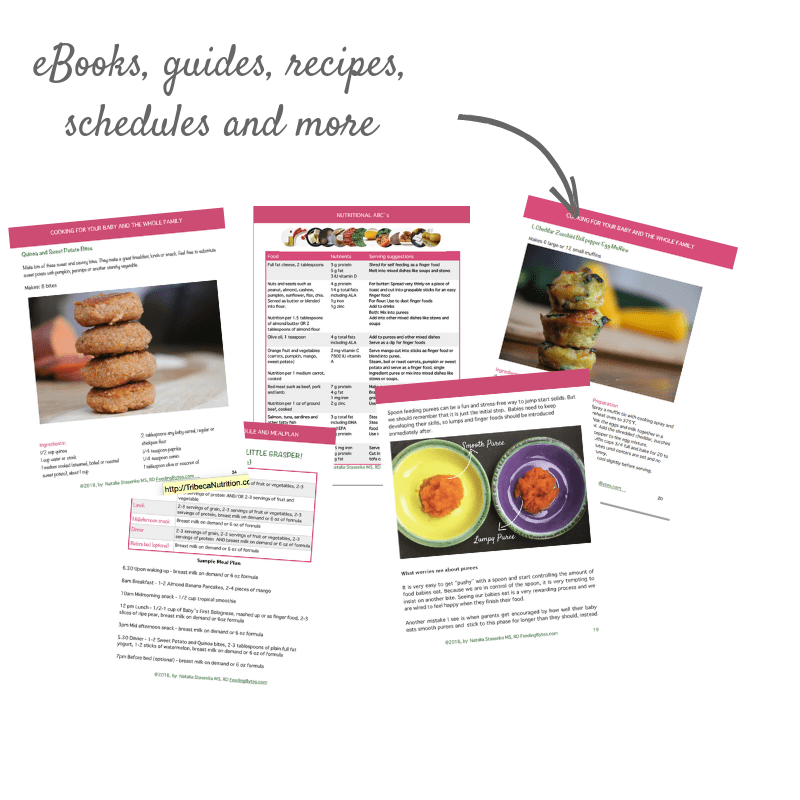 I spent months researching, writing and recipe testing to create this resource for you. Then I collected feedback from other child feeding experts and parents and used it to make it even more useful and practical. But if you think it is not a good match for you, it would not feel right to me to keep your money. Just drop me an email within 30 days of purchase and I will refund it 100%, no questions asked. Thank you again for creating these resources! …these are the most practical tools I have come across – they gave me the information I needed to be educated and informed, as well as easy ways to implement this information in our crazy day. I also really appreciated that your approach is not one size fits all, which ended up being really reassuring, as an already overwhelmed new mom.